grades and strands of the Ontario science curriculum. This video demonstrates connecting solar panels in series and parallel. The panels in solar array pictured above on St. Josephs CHS, are connected in series and parallel. It is possible to see a galaxy with nothing more than a pair of binoculars. This video explains where and when to look. Grade 4: Structures and Mechanisms: Pulleys and Gears. (All Grades) "be aware of scientific and technological events happening in your community"
Mechanical clocks use gears. This video takes a look at some clock mechanisms including the tower clock at Pembroke City Hall. There are also clock towers in Arnprior, Renfrew and Eganville. The science behind sinking and floating. Electrons are presented as the charged particles that carry electrical energy in most circuits. The video includes a demonstration of series and parallel circuits. Grade 6: Electricity and Electrical Devices. 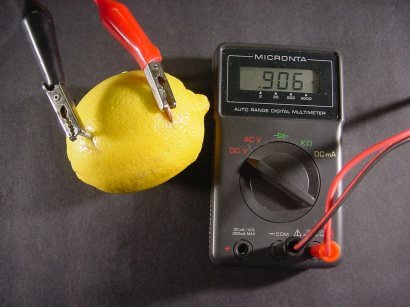 Creating a battery from a lemon is a common project in many science text books. Successfully creating one of these devices is not easy. This video demonstrates how to construct and use a lemon battery. A short video clip showing how to use the constellation Ursa Major to find Polaris (North Star) and Ursa Minor. This video is designed to support an introductory astronomy program. Supports Ontario grade 6 and 9 science curriculum.